Event Date: Sunday, October 7, 2018 – 10:00 a.m. – 12:00 p.m.
Online registration closes at 11:59 p.m. on Saturday, October 6, 2018. 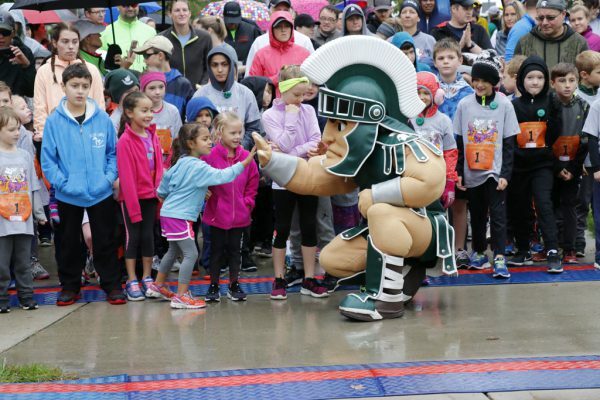 Late registration and packet pick-up will be at the main office of the MSU Federal Credit Union (3777 West Road E. Lansing, map), Saturday, October 6, 11:00 a.m. – 2:00 p.m.; or at the MSU Museum on race day, 8:30 – 9:30 a.m.
Playmakers in Okemos will also accept registration forms until 2:00pm on Monday, October 1st. 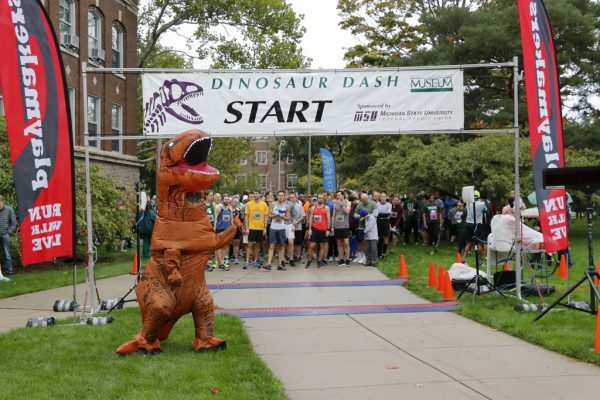 The fast, flat 5K road race is a fall-time favorite and this year will serve as fundraiser for Science on a Sphere and will celebrate the upcoming UNESCO Year of the Periodic Table, marking 150 years since Dmitri Mendeleev conceived of the periodic table of elements. The race will highlight Iridium (element 77) and its connection to paleontology. A global sediment of iridium, laid down across the earth about 66 million years ago, offers strong scientific evidence for the impact of a massive asteroid on the earth’s surface, contributing to the mass extinction of the dinosaurs. 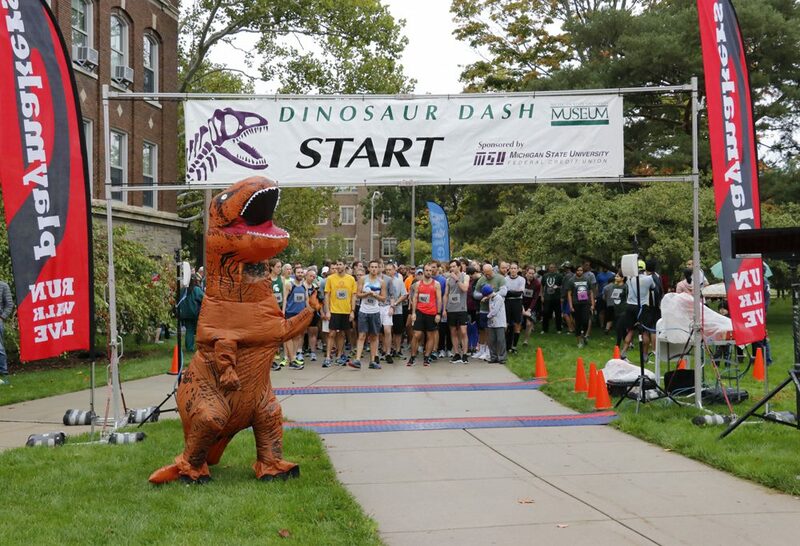 Participants are encouraged to wear imaginative costumes evoking dinosaurs, asteroids, or element 77. 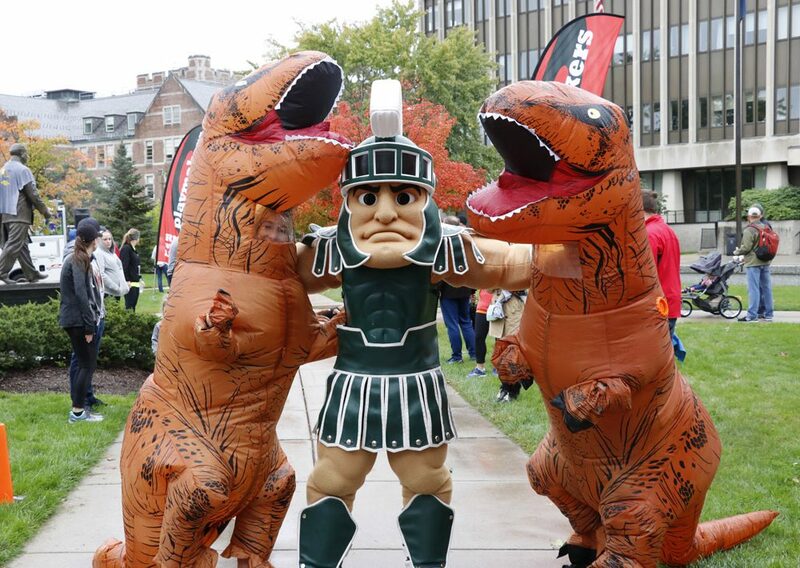 A full line-up of activities make for dinosaur-size fun and fitness for the whole family. Note: If you plan to run any portion of the 5K then please register yourself as a Runner to avoid any confusion for our course monitors and timing company. Walker entries are expected to walk the entire route without running at any point. 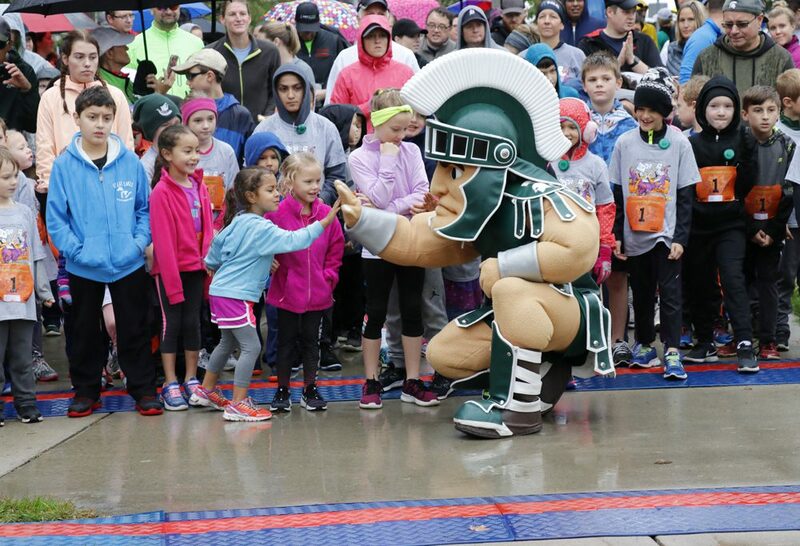 Three special runs are designed for the younger crowd: the Museum Mile for youth 12 and under to run or walk a one-mile loop along the Red Cedar River; the Mini-Dash, a 200 yard dash for kids 6 and under; and the Diaper Dash, a 100 yard dash for kids 3 and under. 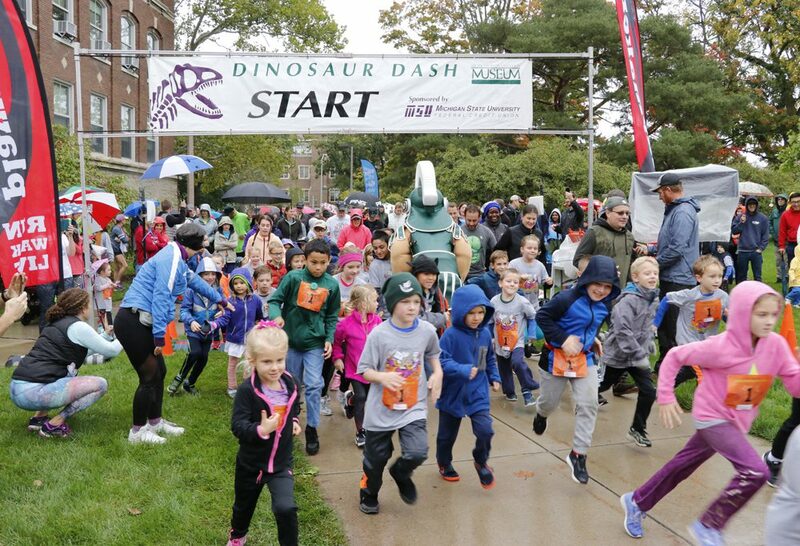 All finishers of the Museum Mile, Mini Dash & Diaper Dash receive an official Dinosaur Dash award medal. 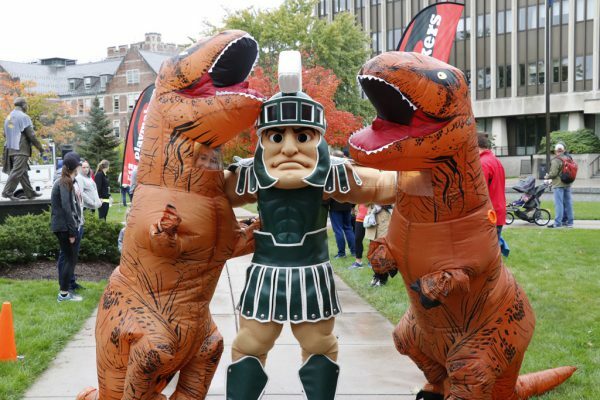 For more details, call the MSU Museum at (517) 355-2370 or museum@msu.edu. 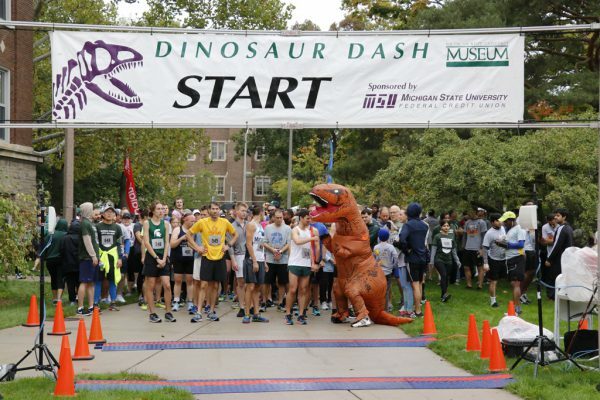 Listen to Tim Baron’s Radio Michigan.com for more news about the MSUFCU Dinosaur Dash! 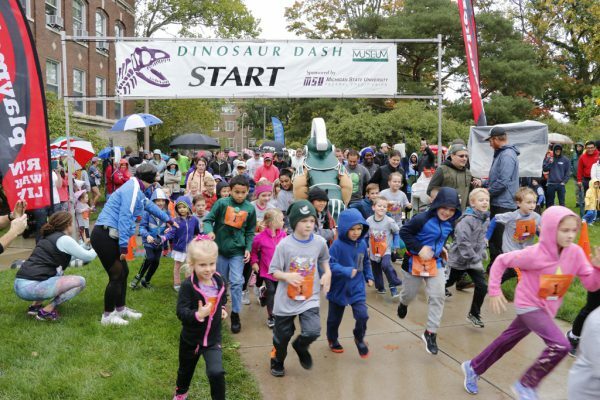 Sponsor a Student at Dinosaur Dash! 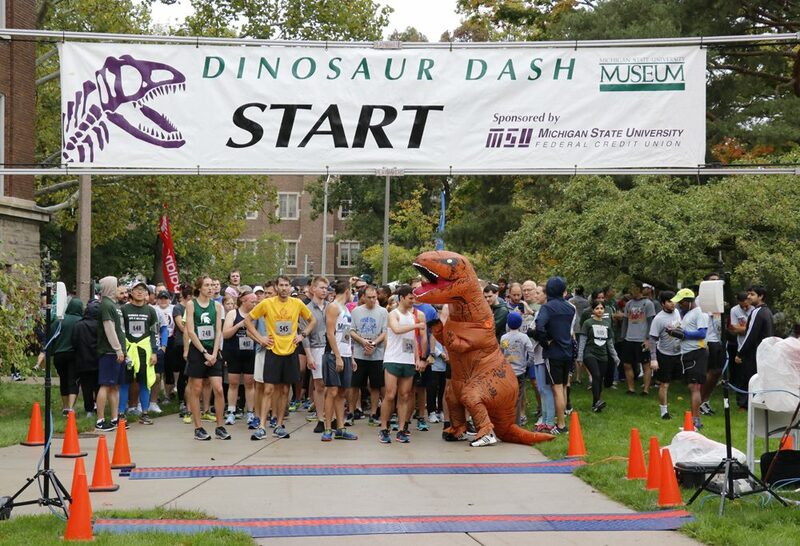 Colleges, departments, and other units may wish to sponsor MSU students participating in the Dinosaur Dash. The cost of sponsorship is only $20 per student runner. Feel free to arrange for your students to represent a specific theme. 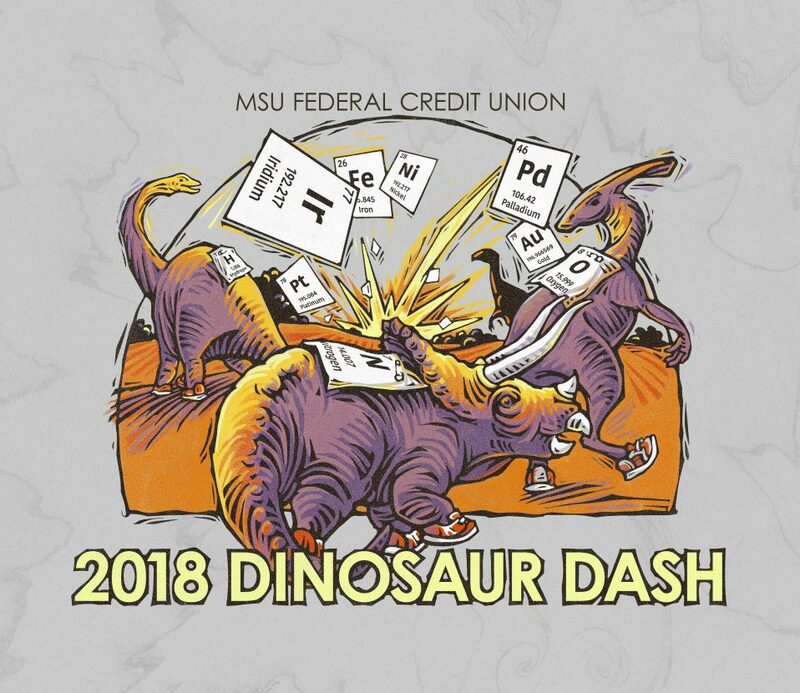 For instance, for the 2018 race, which celebrates the UNESCO Year of the Periodic Table and commemorates the extinction of the dinosaurs, a student could represent a specific element on the periodic table, a specific dinosaur species, or even a specific asteroid. A student could represent her or his department or discipline. Enter to Win Special Prizes!